I did it! I surpassed the 200k reads mark on wattpad.com. The bright red numbers should draw readers to my book like moths to a flame (forgive the overused cliche). Ok. Not really. But it does look nice. I also passed 1,000 followers this week. Not a bad showing for nine months of hard promoting, interacting, shamelessly self-promoting in the most clandestine way possible. Really, it’s a game. You have to advertise without advertising. You have to circumvent the trolls and ignore the know-it-all’s professing they know the publishing industry in spite of the fact that they’ve self-published novels no self-respecting publisher would touch if their manuscript was the one left following Fahrenheit 451 like apocalyptic massacre of every other book. It’s a game of shadows trying to make one’s dreams into substance. What has been the key? I believe my understanding of my market has propelled my recent success. One of my cohort members from Stanford recently said, “Girls buy books.” How true she was, and how lucky I that I wrote THE FRUIT OF THE FALLEN with the teen female in mind. Women are much better communicators and, frankly, share much more about their lives than men do. We all know this. Sure there are exceptions to the rule, but if one wants to be successful outside of the fantasy and perhaps spy-espionage genres, the teen girl reader must be considered. I can share an example from a recent trip to Europe with a group of teens. One girl was reading THE FAULT IN OUR STARS. Before we had boarded the plane, every other girl in the group had their own hardback copy for which they payed premium retail at the airport book store (and they got a nice bag to boot). Word of mouth. Being a part of the group. Not being left out of the conversation. These are key points to understanding why girls buy books. Guys just don’t talk as much about what they are reading (unless Khalessi is involved, over course!). I can’t tell you how hard I tried to write a butterfly theme into my novel so I could use the beautiful blue butterfly on the cover. Why? Because girls like butterflies. They’re pretty. Girls will click on my book just because of the beautiful cover. That’s the first step. The writing is the second step. So, it has been a week of milestones. 200K readers. 1,000 followers. 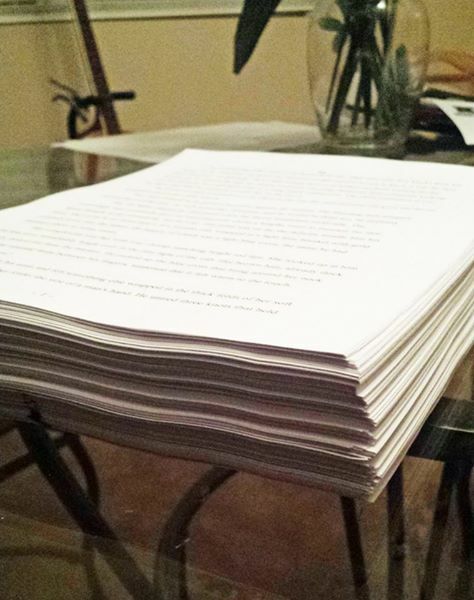 Plus, I finished the extended version of the novel and am doing a final proof before submitting it for republication. A chapter in my own writing story is closing. Thank goodness! I can’t wait to start the next one. That’s awesome. Success is a beautiful dream come to harvest. What you’ve done is very inspiring.